American Idol has been one of the most popular shows on television for over ten years now. After several judging panel shake ups, a few rule changes, countless Grammy and Tony awards, and even an Oscar win, the show (and its contestants) are still going strong. This season, the show’s eleventh, is no exception: Lovable characters, awesome music, and stiff competition still drive every episode. Last week, we covered a few popular contestants on this season’s American Idol, with style profiles of Elise Testone, Colton Dixon, Phillip Phillips, and Jessica Sanchez. The two finalists will be announced tonight, and to celebrate, we’re featuring the unique styles of a few more of our favorite contests! 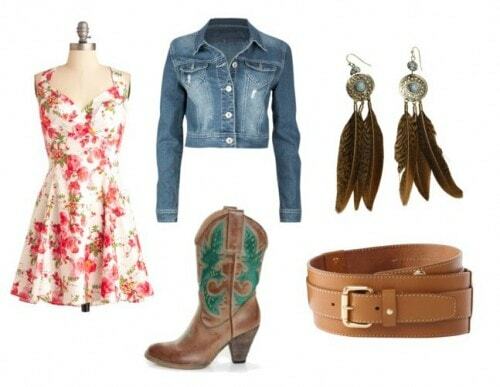 Want to steal some star style for yourself? 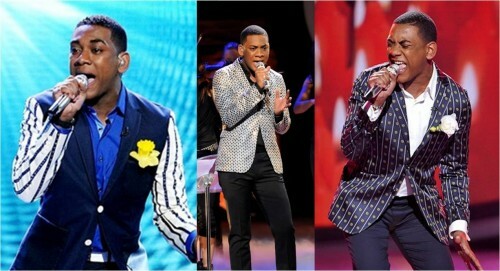 Read on for ensembles inspired by Joshua Ledet, Hollie Cavanagh, Heejun Han, and Skylar Laine. Joshua Ledet was nicknamed “Mantasia,” after Idol winner Fantasia Barrino, due to his incredible powerhouse vocals. This Louisiana native has a soulful, Southern choir sound that has earned him countless standing ovations from the judges and the Twitter support of several Idol alumni. Josh sticks to soulful, throwback songs each week — think James Brown hits, and tunes by the Temptations. Joshua Ledet’s retro flair doesn’t stop at his song choices. His style is reminiscent of a “doo-wop” singer of an earlier era, and Josh dresses to reflect that. Every week, he wears eccentric suits with classic loafers, and tops it off with a bright flower on his lapel. He has a thing for bright colors, and isn’t afraid to mix prints either. 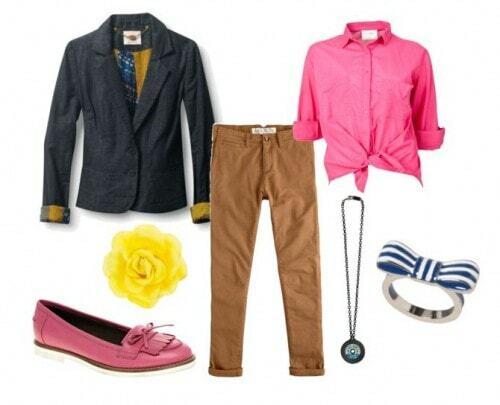 To steal some of Josh’s style, pair a blazer with a bright blouse and classic pair of chinos. A bow tie ring and record necklace are nods to Josh’s fashion and music style. Finish with a flower brooch. Hollie Cavanagh was born in Liverpool and moved to McKinney, Texas in 2002. This petite blonde is known for her huge voice, and loves to showcase it in songs by Tina Turner, Leona Lewis, Christina Aguilera, and Adele. Her sweet demeanor and gorgeous voice kept her in the competition until last week, when she went home with the 4th place title. Hollie belts out her power ballads wearing glitzy, glamorous dresses. Beaded bodices, chandelier earrings, and strappy stilettos comprise her signature look. Finish the ensemble with girly pink lipstick and sophisticated curls. Heejun Han of New York might be the standout character of this season’s cast – his beautiful voice was often overshadowed by his comedic personality and hilarious quips during interviews, both on an off stage. His job in New York as a special needs teacher melted the hearts of audiences across America. 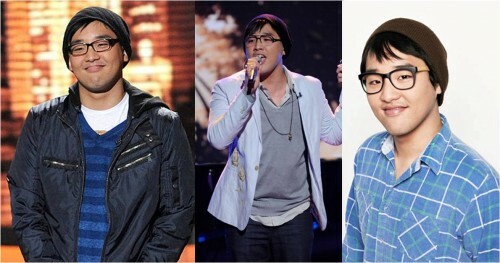 Heejun was voted off in ninth place, but rumors have been swirling about a sitcom or stand up comedy career in his future. I have a feeling that Idol‘s finale next week won’t be the last time we see him! Heejun, a self-proclaimed “nerd,” had a pretty straightforward style, but was almost never seen without his two signature accessories — a beanie and thick-framed glasses. To get his look, layer on a few androgynous pieces with these two accessories, and don’t forget his self-deprecating sense of humor! 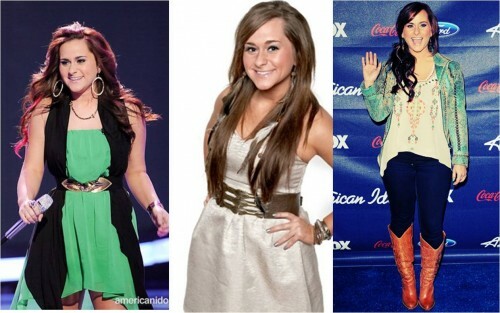 Skylar Laine of Mississippi was season 11’s resident country cutie. Her spunky personality and songwriting skills took center stage when she sang tunes made popular by Kellie Pickler and Miranda Lambert. She even tackled the country version of Lady Gaga’s “Born This Way.” Since she was voted off, the show has lacked her warm demeanor and sweet Southern accent. Are you watching American Idol this season? What do you think about this year’s contestants? Who is your favorite singer? Who has the best style, or best personality? Did we forget to cover anyone whose style you loved? Who do you think will win? What other reality shows do you love? Leave us a comment and let’s discuss this season!